My reluctance to leave Africa didn’t prevent me from being excited to start exploring South America. Unlike Africa, South America wasn’t entirely unfamiliar ground – on previous trips I’d visited Ecuador, Brazil, Peru and Paraguay. But I’d never been to Argentina, and I couldn’t wait to wander around Patagonia. “Do you have a pair of trousers in your bag?” asked the Malaysia Airlines ticket agent when I checked in for my flight from Cape Town to Buenos Aires. “I want to give you a better seat,” explained the agent. I had on my typical travelling outfit – t-shirt and shorts – and apparently Malaysia Airlines doesn’t tolerate uncovered legs in Business Class. After a quick wardrobe change I was able to spend the eight-hour flight in relative luxury. I mistakenly interpreted the seat upgrade as a good omen. If seven months of continuous travel had gradually built up the conceit that I could adjust smoothly when arriving in a new country, Argentina rapidly disabused me of that delusion. 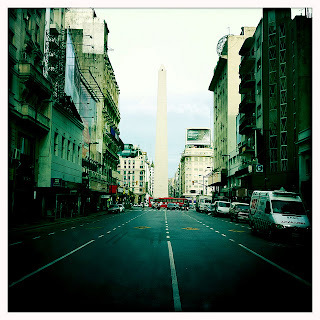 Over the course of just three days in Buenos Aires I managed to lose my wallet, fail miserably in the most basic attempts at communication, and – just before leaving on a 17-hour bus ride – eat something that caused the first stomach problem of my trip. It wasn’t an impressive performance. All things considered, the incident with my wallet wasn’t nearly as bad as it could have been. 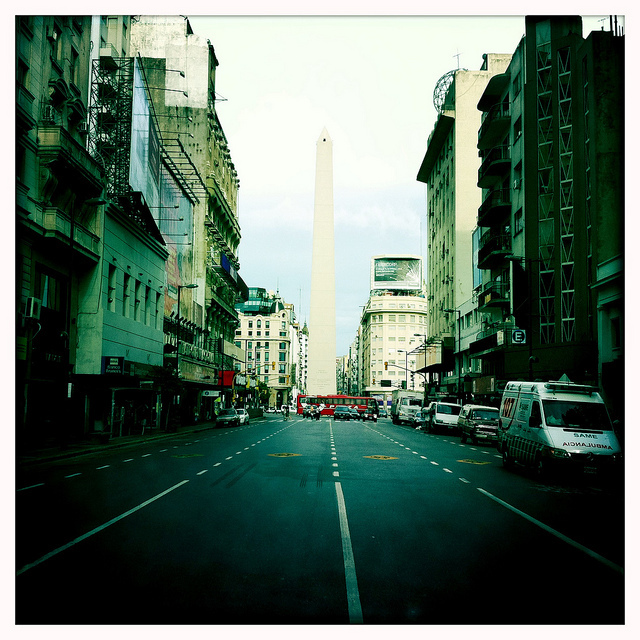 I’d only been in Buenos Aires for one day when there was a knock on the door of my hotel room. “Is this yours?” asked the front desk clerk, holding my wallet in her hand. I hadn’t even known I’d lost it. Apparently it had slipped out of my pocket as I ate breakfast in the hotel’s dining area, where it was found and turned in by a couple of random guys. Some of my money had gone missing, but about $200 was still there, as were my ATM and credit cards (and, according to the banks, no attempt had been made to use them). How could I have been so careless? My difficulties with Spanish were even more upsetting. In Asia and Africa I’d looked forward to visiting countries where I could talk to people in their own language. It’s too easy for English speakers to be lazy when we travel. In most places, especially heavily-touristed areas, English is so widely known that we can almost always find a way to get by without learning even a few words of the local language. But my experience has been that the English-only approach doesn’t work as well in Latin America. And I wouldn’t want it to. I didn’t feel guilty for not speaking Khmer in Cambodia or Kiswahili in Kenya, but I had no excuse for not speaking some Spanish in Argentina. I knew my limitations. My vocabulary is pathetic. I can only speak in the present tense. My accent is awful. But after two years of high school Spanish and many trips to Latin America, I considered myself familiar enough with the language to perform basic traveling tasks – checking into a hotel, ordering dinner, asking for directions. Even those modest expectations proved to be overly ambitious. At the Buenos Aires airport, right out of customs, I marched up to a counter to buy a ticket for a bus headed downtown, expecting that the Spanish words I needed would magically appear in my head. No such luck. “Uh, I need to go to the, uh, centro,” I mumbled. “Tickets for the bus are 50 pesos,” said the woman in excellent English. “And the bus leaves from Terminal B.” So much for the debut of my language skills. Checking into my hotel was similarly painful. This time, at least, I managed to say “Hola” when the woman at the reception desk greeted me in Spanish. Things went downhill from there. What’s the Spanish word for ‘room’? Cuarto? That doesn’t sound right. Habitación? I froze, a deer in headlights. The receptionist rescued me by switching to fluent English. Disheartened, I looked for any opportunity to claim a language victory. “¿Hace calor, si?“ (It’s hot, yes?) I said to a cab driver, clearly demonstrating my desperation by resorting in Spanish to the type of small talk I find so annoying in English. The cab driver smiled and launched into a lengthy answer filled with words I didn’t understand. I caught “en Enero y Febrero” (in January and February) followed by “cuarenta” (forty) and guessed he was telling me that during the peak of the Argentine summer it sometimes reaches 40 degrees Celsius. “Si, caliente,” he agreed. As short and shallow as the exchange may have been, I decided those few words counted as my first conversation in Spanish. There was nowhere to go but up. Language and wallet-security weren’t the only areas in which my brain had short-circuited. For months I’d been looking forward to meeting my parents in Buenos Aires, and I thought they were scheduled to arrive on March 14th, just three days away. An e-mail from my mom corrected me. She and my dad wouldn’t arrive until the 17th. That called for a new plan. I couldn’t sit still for almost a week, especially given that I didn’t want to check out the Buenos Aires tourist attractions until my parents were with me. So I decided to use the extra time for a side trip to Iguazu Falls. The travel agency at my hotel sold me a ticket for one of the many night buses to Puerto Iguazu, leaving at 7pm and arriving at noon the following day. As I walked to the bus station, the cheeseburger I’d eaten for lunch began causing trouble. My trip, until that point, had been surprisingly free of stomach problems – no Delhi Belly, no African version of Montezuma’s Revenge, nothing. But a rogue Argentine burger finally brought me down. And the pitiless timing seemed calculated to make up for my stretch of good luck. I braced myself for 17 unpleasant hours on the bus.